What started out as an excuse to hang out with a few buddies and drink mid-week-beer eventually generated the monster that is Kvalm. The cold, damp, almost hostile habitat in which Kvalm was spawned painted the trio musically and the name Kvalm seemed fitting, a Swedish word best summarized as “Stale air causing nausea and queasiness”. Some might call it doom, some might call it stoner or sludge. It is actually the inevitable product of thinking individuals monitoring the destructive, selfish and gullible herd we call humanity. This product, however, is wrapped in a nice, thick layer of heavy drums, sinister guitars, dense bass and moaning vocals that prevents your head from ever being completely still. 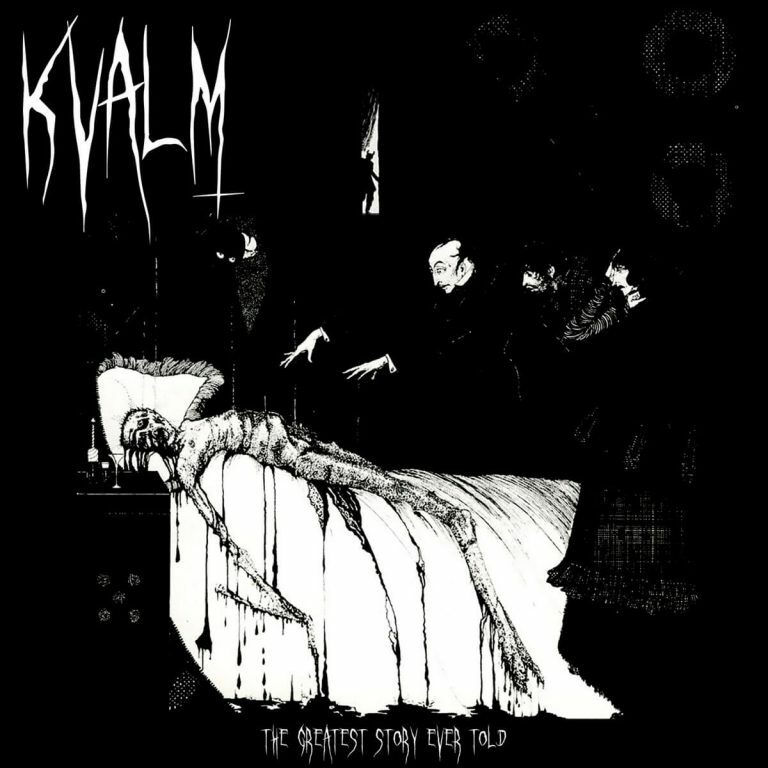 Kvalm has been around the alternative scene for ages. Mainly off and in front of the stage and mainly as an idea. 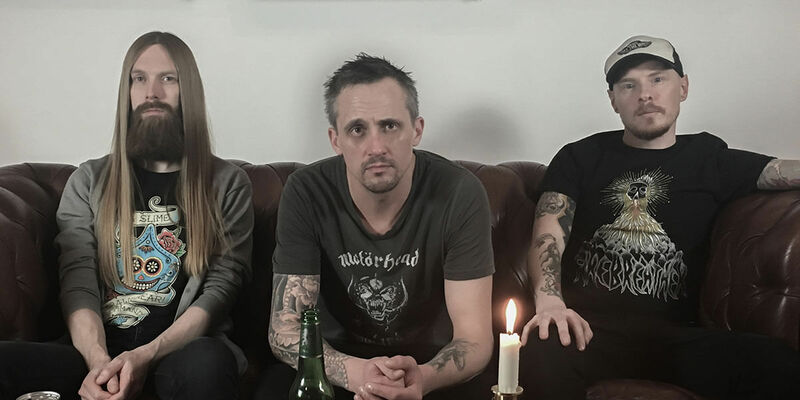 Not until very recently it became flesh and blood following a long era of Andreas (drums), Kristoffer (guitar, vocals), Henrik (guitar) and the other Henrik (bas, vocals) making pieces and putting them together. Andreas and Kristoffers energy, however, was unfortunately needed elsewhere. The drums was later filled by Paffan of Septekh, who took time out of his busy schedule to record the drums for “The Greatest Story Ever Told”.